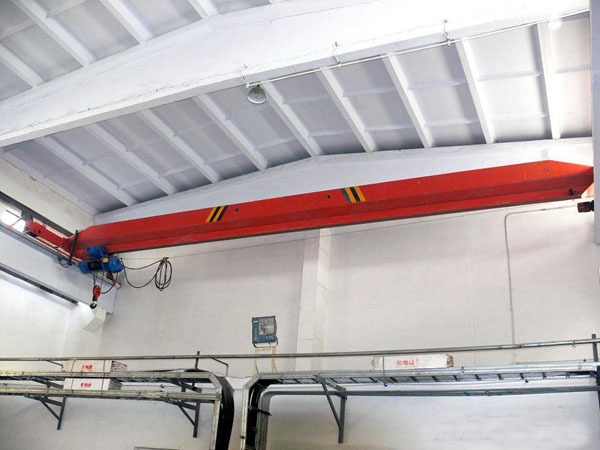 Workshop Overhead Crane Portable Crane Mobile Crane Low Price Girder Crane For Sale! Workshop overhead crane is kind of industrial crane. It has high working class and strong adaptation. 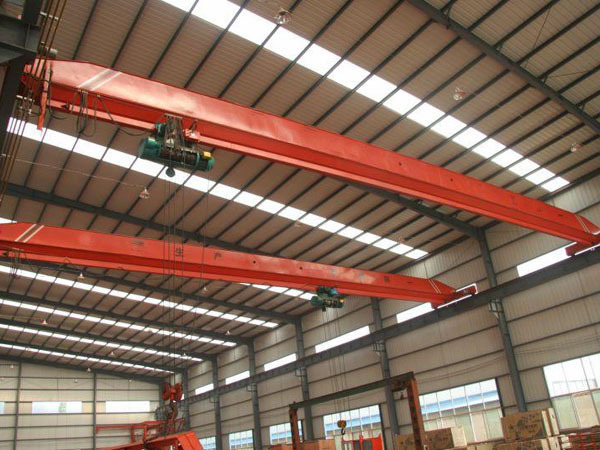 This kind of crane has many different types, such as casting overhead crane, metallurgy crane, grab bridge crane, girder crane with hook, cheap warehouse crane, portable garage crane, low headroom crane etc. Ellsen, a reliable crane supplier, provides top quality lifting cranes with factory price! 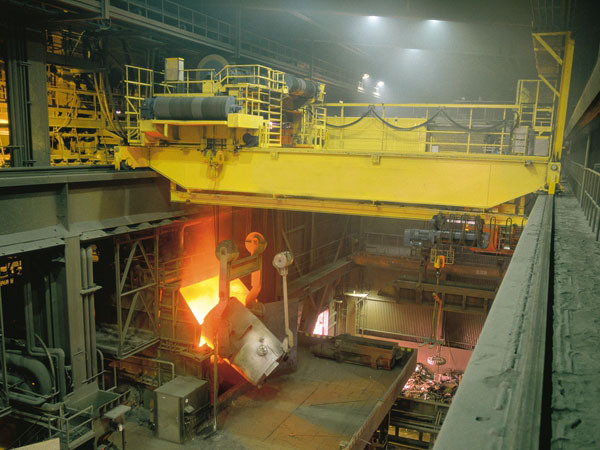 Buy Ellsen cranes for higher efficiency, lower cost! 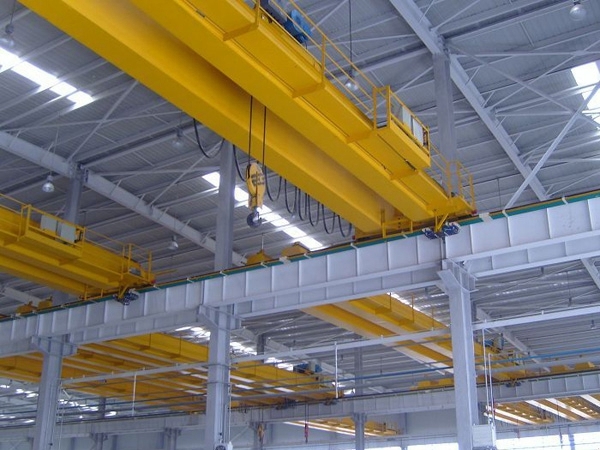 Workshop overhead crane is composed of girder frame, crane travel device, and the trolley with lifting and moving devices. There is pave-rail for the trolley moving on the main girder. Assembling the moving table on the outside of the two main girders. 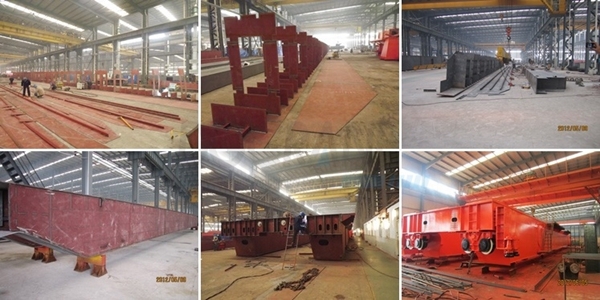 One side is prepared for the assemble and the maintenance of crane moving device, another side is prepared for the assemble of the trolley conductor device. There are full field of the view cabin suspending under the main girder. There are joint control desk or single control box packed within the cabin, assembling the sidelong ladder between the cabin and moving table. The main girder is joint with the two side end carriages. 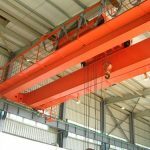 How does workshop overhead crane work? 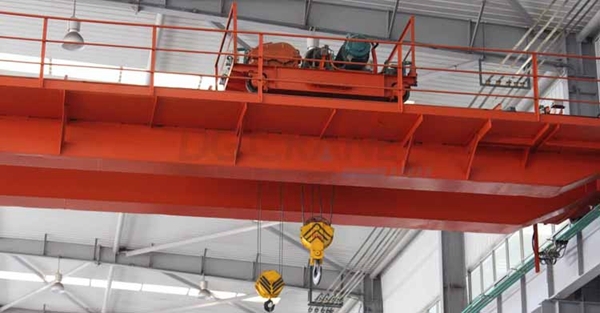 The travelling of workshop overhead crane is composed of three movements, vertical crane travelling, horizontal trolley crane, up and down lifting movement. First is the transmission of lifting mechanism. The power resource of lifting mechanism is from electric motor, then the power is passed to reducer’s high speed shaft end through gear coupling, compensation shaft, brake wheel shaft coupling, it turns motor’s high revolution to the needed revolution through reducer, then transmitting through reducer’s low speed shaft, through drum’s annular gear, transporting the power to drum group, up and down through wire rope and trolley group, then finishing loading and unloading material. Second is the transmission of trolley travelling device. Power from electric motor through brake wheel shaft coupling, compensation shaft, semi gear coupling, transports to high speed shaft end of vertical three-grade reducer, then turning motor’s high revolution to the suitable revolution through reducer, transporting through low-speed shaft of reducer. 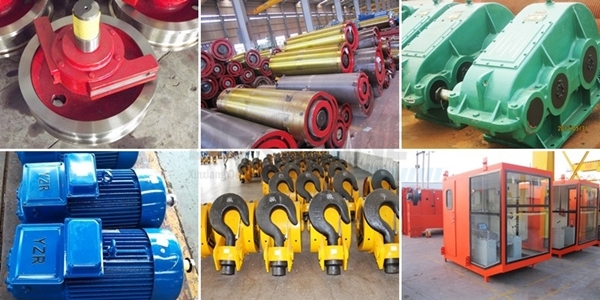 Then through semi gear coupling, compensation shaft, the connection between semi gear coupling and trolley driving wheel, it drives the trolley driving wheel to run, and transporting the material in horizontal direction. Third is crane travelling device. 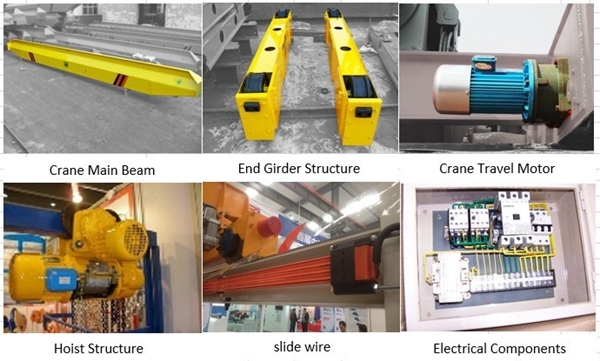 Power form motor transports to reducer’s high speed shaft end through brake wheel coupling, compensation shaft, semi gear coupling, turns motor’s high revolution to suitable revolution through reducer, and transmits through reducer, and connects with crane driving wheel through whole gear coupling, and drives the crane driving wheel run and lifts the material in vertical direction. The driving mechanisms on the ends of crane are the same. Why does workshop have high efficiency? 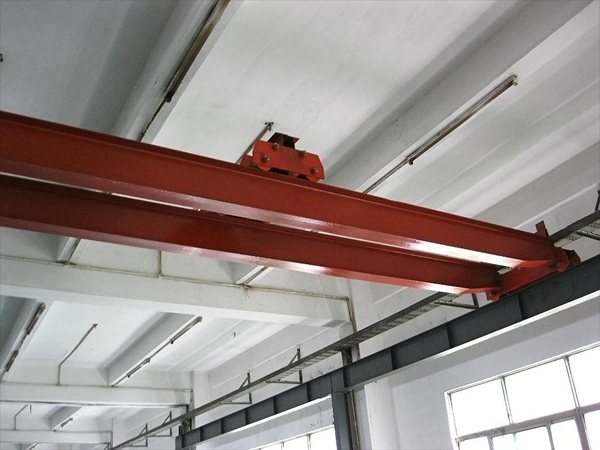 Workshop bridge crane is widely used for industrial lifting work. It can make heavy lifting work easier and safer. With high efficiency, single/double girder workstation crane can save much time and labor resource. Because this particular traveling crane has three advantages as following: powerful loading capacity, easy and safe operation and compact structure. Large loading capacity. 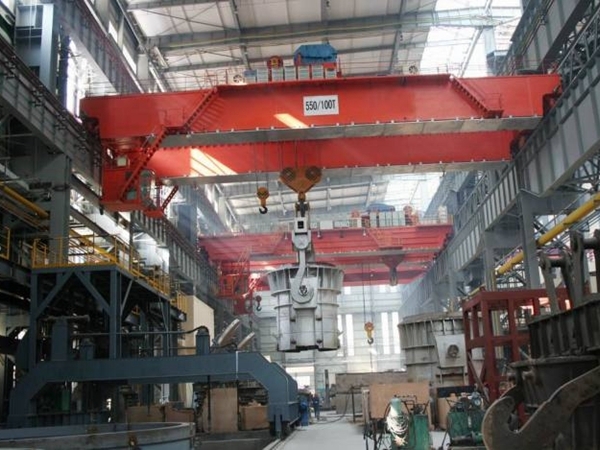 Double girder workshop crane is a kind of heavy duty lifting device. This kind of crane is powerful, and mainly used for heavy loading and unloading work, such as construction site, railway station, factory, warehouse. It can lift capacity more than 800 tons. Easy and safe operation. Workshop bridge crane can realize quick start, stable move and immediate stop. This sensitive actions ensure reliable performance and stable traveling. Workshop crane is very simple to operate. It has several control methods, such as cabin control, ground wire control, ground wireless remote control. Customers can choose the suitable way. Compact structure takes little time to carry daily check-work and maintenance. 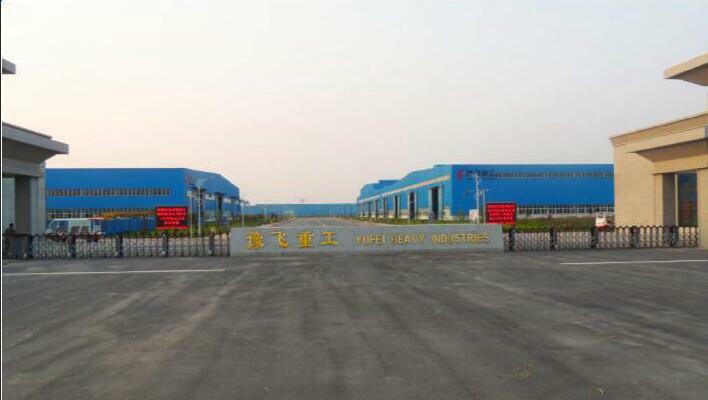 For industrial device, especially heavy duty crane, daily check-work is very important. Serious and overhaul check-work can ensure normal conditions and help find problems earlier to avoid accident. However, if the crane system is so complex, the check-work will become time-consuming. 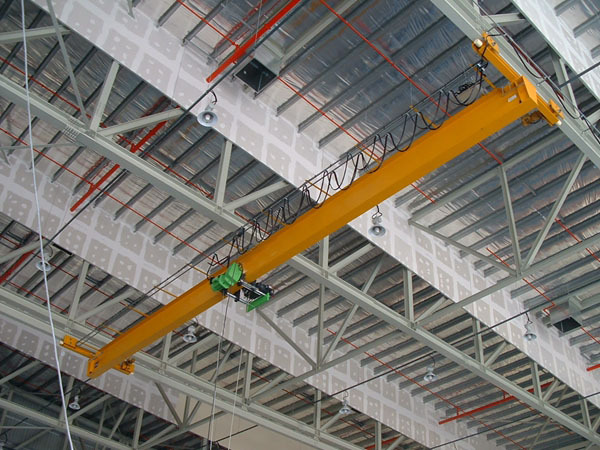 Simple crane system turns the check-work easy and fast. Electric control mechanism consists of electric hoist, trolley control system and crane traveling control system. Electric lifting hoist/trolley includes lifting motor, traveling motor, reducer, wire rope and overload limiter, stopper device, hook group. Crane traveling mechanism is composed of traveling motor, reducer, wheel and buffer. Steel structure includes main girder, end truck, service platform and crane travel rail. Electrical parts and hoist are packed by strong plywood box, to prevent the rain soaked. Main beam, end beam, platform railing and others are packed in plastic woven cloth, to prevent corrosion in the seawater. 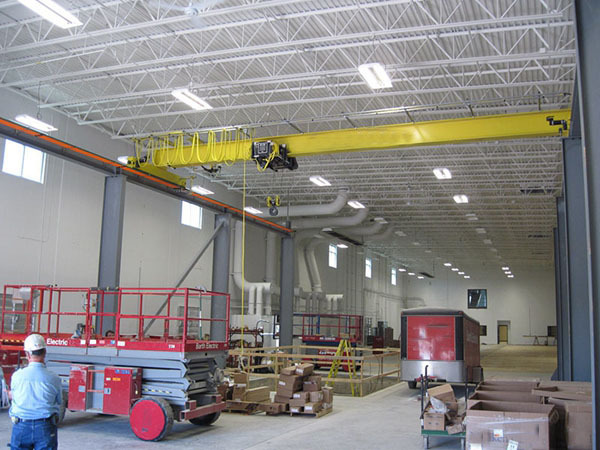 Why choose Ellsen workshop bridge cranes?